Do you know that you can enable the mute icon for tabs in Chrome, how many times have you been caught off guard with videos or pop up advertisements that play on their own without your permission. the most irritating thing about such advertisements are that they tend to be louder than most videos. 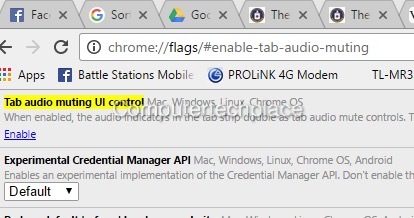 This gives a shock to the user and when all of a sudden, a loud music or voice goes off and you do not know which tab it is coming from when you are working in a quiet office. There is a way to enable the mute icon for tabs in Chrome, and you can mute that tab on the fly without any impact on the work you are currently working on. Simply start one new Chrome tab and type in this in the address bar. You will notice that there are options for you to adjust. The option to enable muting is all the way at the top. Simply click on the blue underlined text to Enable it. 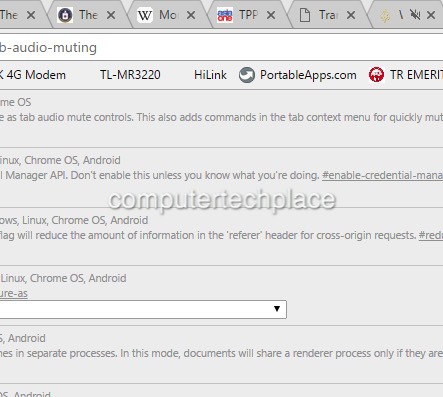 Now you will be able to click on the mute icon on the Chrome tab that has music playing and it will instantly mute the audio coming from that tab. You will need to close the Chrome and re-start a new Chrome session for this setting to take effect.